What motorbikes can you ride as a learner? 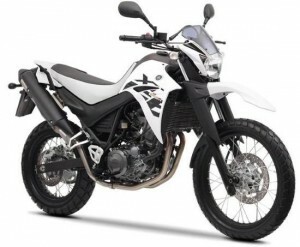 Home › Advice › What motorbikes can you ride as a learner? In the UK our range of motorcycles is fairly restricted compared to other countries such as Australia or New Zealand. Over there they have a system whereby almost all bikes under 660cc with a power-to-weight ratio of 150kW per tonne or less are approved. In the UK, though, the rules and restrictions are much more strict for younger riders, with restrictions only being lifted as you reach specific age brackets. Before you can ride unaccompanied on a public road you must satisfactorily complete a Compulsory Basic Training (CBT) course. After this you are allowed to ride a 50cc moped on your own without a pillion passenger. You must use L plates until you have passed the theory and practical moped tests. There are a huge range of mopeds available, including (increasingly) electric ones. There are three motorcycle sub-categories, and the category you take your test on affects the sub-categories you can ride after passing your test. 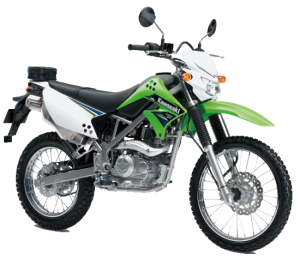 Shown is a Kawasaki KLX125 which has a maximum power of 7.6kW and a displacement of 125cc. It only weighs 113kg, so will be nimble and easy to handle for novice riders. have a power-to-weight ratio of no more than 0.2kW per kg, or 200kW per metric tonne. If your motorbike’s engine has been restricted to reduce its power so it fits into the A2 category the normal unrestricted power can’t be more than double its new restricted power (e.g. if the normal power is 50kW you can’t restrict it to less than 25kW). You must also bring proof of the restriction to your test or it will be cancelled. Proof must be from letterhead from a recognised specialist, a main dealer or official importer, and must show the bike’s registration number. The bike shown is a Yamaha XT-660R. It has a 660cc engine, produces 35kW and weighs 181kg. 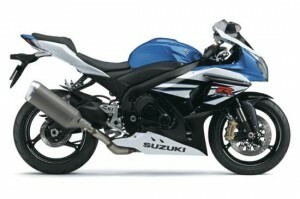 Shown is a Suzuki GSX-R1000. The weight is almost twice that of an A1 class bike at 203kg. Its 999cc engine produces 136kW. Riding this bike without first riding lower powered bikes would be like fighting a black belt at karate when you’ve never done any martial arts before. If you have a disability you might be able to use a motorbike with a sidecar. Categories A1 and A must have a power to weight ratio of less than 0.16kW/kg, and passengers are not allowed to ride in the sidecar during the test. If you have an engine control unit (ECU) with switchable power modes) it must be clear which mode the device is set to. Your bike cannot have a hidden ECU, exhaust manifold restrictor or interchangeable carburettor heads. You can view the approved test motorbike list for practical riding tests by clicking here. It’s not always completely up-to-date as new bikes come out all the time.